As I mentioned in my last post I've been in Baltimore since Friday night. I haven't seen much of the Baltimore area, but the meetings I'm at are being held at a hotel in the Inner Harbour which is very beautiful. I wasn't able to bring along my craft supplies, but that doesn't mean I haven't been creating :) When I travel it's a great opportunity to create using My Digital Studio 2 (MDS2). 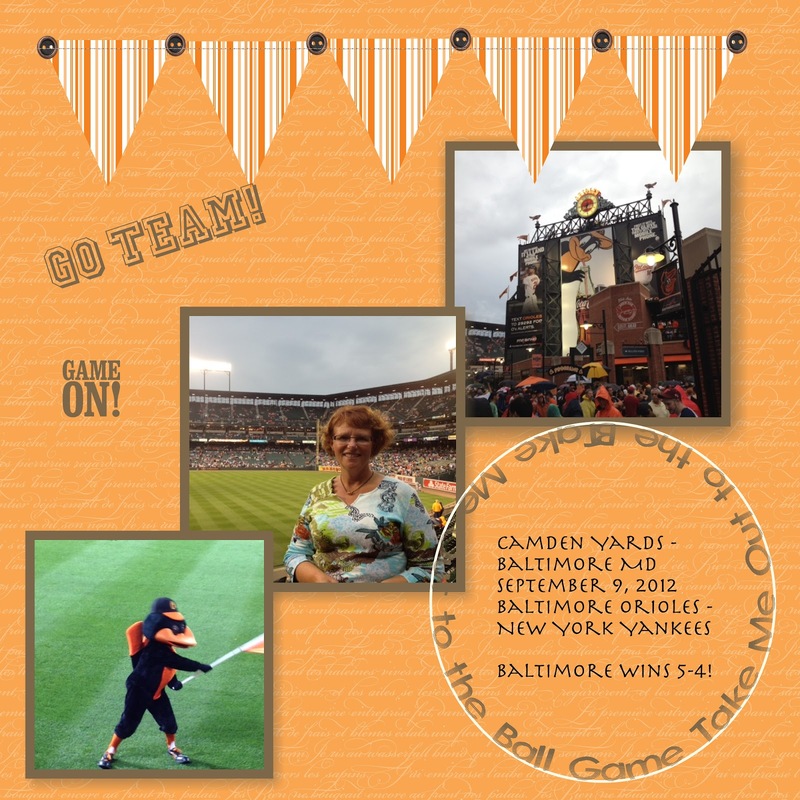 I thought I'd share with you a couple of the pages I created while in Baltimore. The first one is a page I created after going to a baseball game with the Baltimore Orioles playing the New York Yankees. It was a great game with Baltimore pulling out a win! I also created this page. 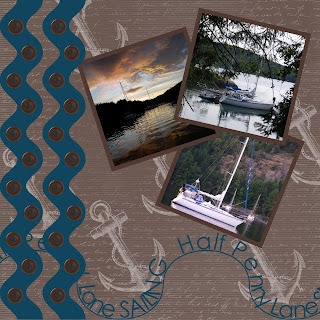 We had a great summer (although a little short) on our boat - Half Penny Lane. I was playing with lots of different techniques in this card - I love the new attaching text to a shape. In both of my cards, the title is attached to a shape - a circle in the first one and a wave in the second one. It was really easy and so much fun being creative in a different way - digitally! You can download a free trial version of MDS2 for 30 days. It's a great way to try it out and see if you like it. Download the FREE 30-day trial. I'd be happy to show you more about MDS2...contact me for more details.